Can't make it to Santorini? 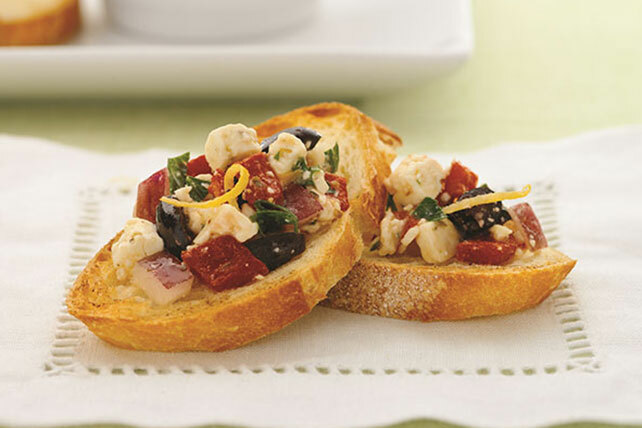 You'll get halfway there with each bite of this zesty, Mediterranean-inspired app. Cheese mixture can be refrigerated up to 24 hours before using as directed.